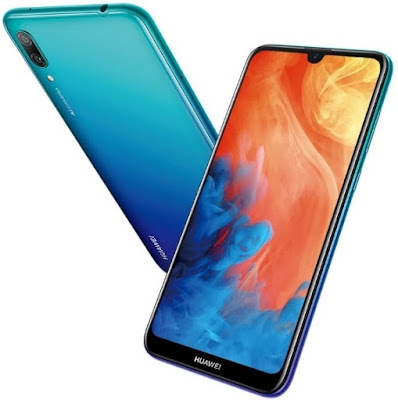 Huawei has launched Huawei Y7 Pro 2019 smartphone recently and the phone comes with 6.26-inch display screen in a reasonable price. The brand has also recently released Huawei P Smart 2019 after Nova 4 and Mate series smartphones. And, Huawei's annual revenue crosses $100 billion for the first time as well. Congrats. If you are interested to know Huawei Y7 Pro 2019 mobile phone's features, specification, price, release date, first impression, review, unboxing, comparison and hands-on etc. then you could find some of them over here. The phone is powered by Qualcomm Snapdragon 450 SoC processor and paired with 3GB of RAM. The internal storage is 32/64GB variants with and expandable memory option. Huawei Y7 Pro 2019 runs on EMUI 8.2 based on Android Oreo operating system. The display size of the phone is 6.26-inch full-HD+ with 19.5:9 ratio. As for the camera, it comes with AI dual rear camera of 13+2 megapixel and 16 megapixel for selfies. This could be one of the cheap and best smartphones. You may get the best deal around. Please find Huawei Y7 Pro 2019 specs and price detail, below. Tips: This is one of the cheap and best smartphones from the brand and best to acquire one.